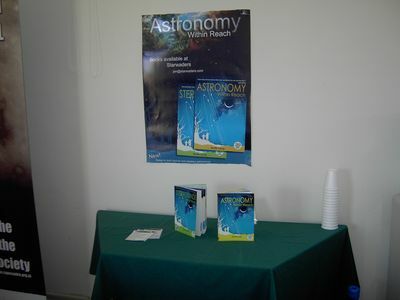 of at the South African Astronomical Observatory in Cape Town. Many email addresses became recognisable faces - great to finally meet them in person. Interesting talks - formal as well as interesting chats over lunch and tea breaks. Starwader's Neville Young gave a talk entitled LESSONS LEARNED IN OUTREACH. 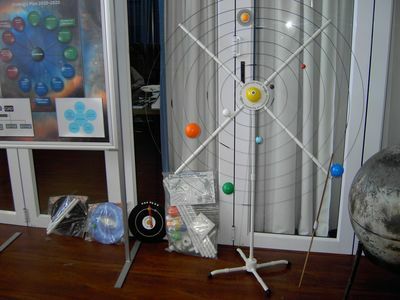 as well as the Starwaders astronomy teaching aids. Auke Slotegraaf slaved away to make videos of every talk. See Neville's talk here.